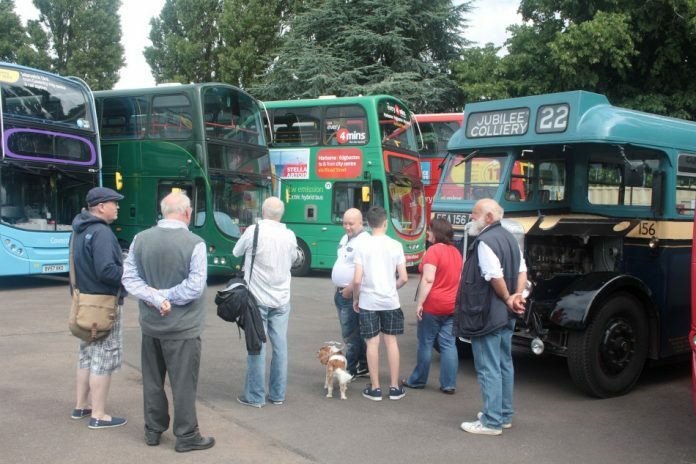 Bus enthusiasts and history buffs are in for an old-time treat on Sunday 10 September as National Express West Midlands puts on its annual free bus festival. The Big Brum Bus Bash in Cannon Hill Park will be showing buses from the 1950s all the way up to the latest state-of-the-art very dark grey Platinums with their USB sockets and leather seats. Some of the proceeds will be going to Victoria Specialist Arts College in Northfield – this year’s chosen charity of National Express’ Yardley Wood bus garage. Victoria Specialist Arts College is a special day school for pupils aged between 2 and 19 who have cognition and learning needs, including complex physical and health needs. The Big Brum Bus Bash is a partnership between National Express West Midlands, Yardley Wood Bus Club and the Transport Museum Wythall.